We have a saying at OPAS: “the most expensive lb. of any shipment is the first one.” What that means is, if you’re able to send a combined shipment of items, it’s almost always preferable to sending multiple smaller shipments. That way, you’re only paying the additional “first lb.” of shipping rate once. It’s much less costly, overall, to send one 10 lb. shipment than it is to send five 2 lb. shipments. Depending on the destination, it may even be less expensive to send a single 15 lb. or 20 lb. shipment than it is to send five 2 lb. shipments! OPAS allows 30 days of free storage for all packages. In the course of this month, you’ll want to plan your shopping in bunches. Domestic shipping is much less expensive than international shipping, so even if it takes more than one order from a given merchant, you’ll want to make sure you have everything you want before committing to international shipment. 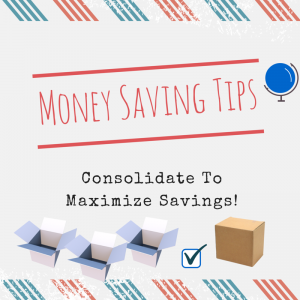 For OPAS’ premium Package & Mail level customers, consolidation is a free service! So if you plan on consolidating large quantities of packages, you’ll really want to look into upgrading to Package & Mail membership level. It’s $15/month or $100/year, and you’ll find the savings on lower shipping rates and free consolidation easily exceed this membership fee. Send us an email at service@opas.com to upgrade or if you have more questions. Any package sent to OPAS is automatically set to consolidate in your mailbox – to ship any item you’ll have to submit a shipping request in our system. This is how important consolidation is for the shipper’s bottom line. It’d be much easier for us as a company to simply receive a package in and turn it back around and send it out the door – with some other forwarders out there, that’s what they do. At OPAS, we think our members deserve better treatment than that, so we hold on to your package until you’re absolutely sure you’re ready to go. We want you to save money, and we want to help you save! Consolidation is a great way to equalize dimensional weight. If you’ve got a package of big, bulky sweaters you ordered as well as some hardcover books, shipping them individually is going to get you overcharged twice. The dimensional weight on the sweaters is much higher than the scale weight, and the scale weight on the books is much higher than the dimensional weight. We can put them together, though, and have a net result that will hopefully be much closer to dimensionally equal, and therefore your best shipping value! By the same token, there are a few instances where you might NOT want to consolidate. For example, if you’ve got a couple of very valuable shipments you might want to send them individually to minimize the import tax and duty you’ll owe. You’ll have to familiarize yourself with the regulations governing import tax for your country, but many times you’ll find tax is assessed at a higher rate above a certain declare value, and sometimes tax isn’t assessed at all for shipments of lower value. All in all, though, it’s generally a much better idea for you to consolidate packages with OPAS! 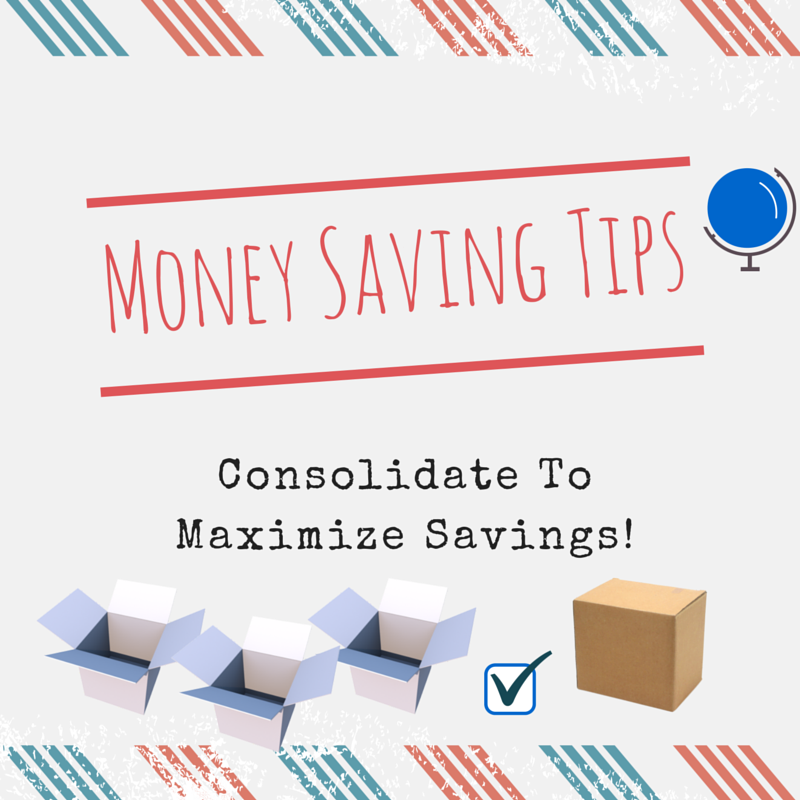 Coordinate your shopping and combine packages, you’ll quickly see how much you can save! We hope you enjoyed our package forwarding tips! do you ship a bottle or two of perfumes from US to the Philippines? We can check for you. It will depend on your specific location. If you contact our customer service team at service@opas.com we can get everything figured out for you. Please include your shipping address city name, zip code, the quantity you are planning to ship and product URL.